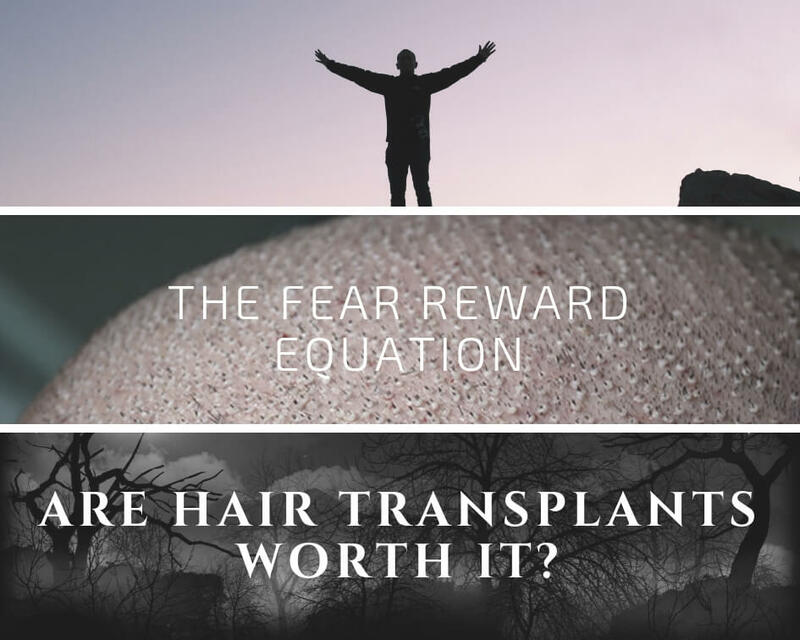 Norwood 6 Hair Transplants: Excellent Results Impossible, Or Myth? 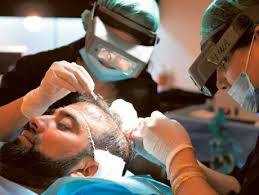 Norwood 6 Hair Transplants are a controversial topic in hair restoration society. A lot of people claim Norwood 6 and beyond is a lost cause. They believe a hair transplant procedure would be ineffective. 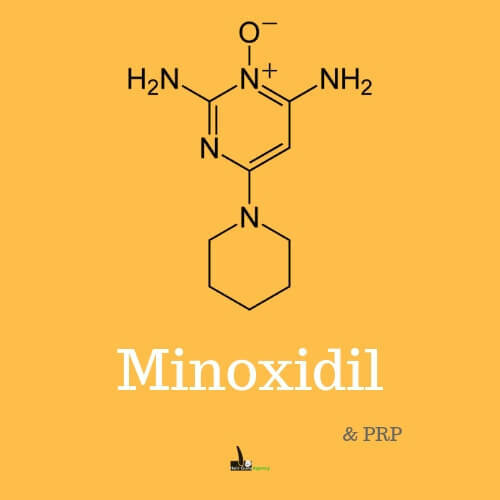 Some say alternative methods are a better option in this type of hair loss. However, if the patient can find an experienced and skilled surgeon this is. 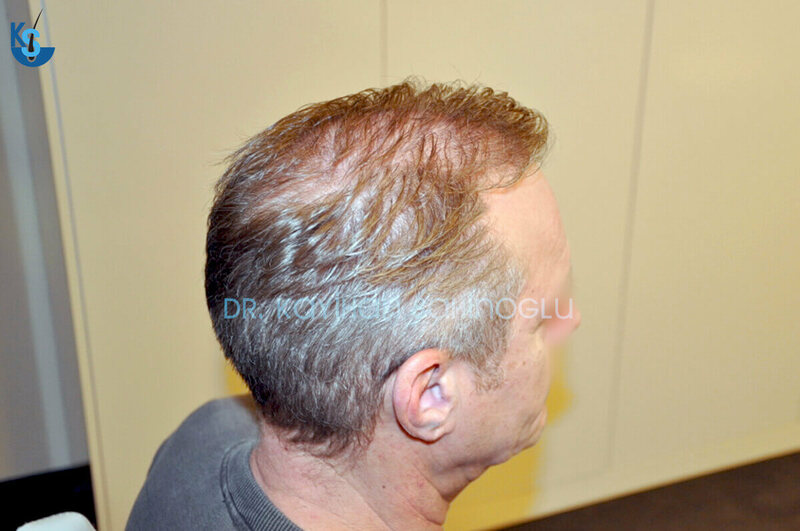 Norwood 6 hair transplants can get amazing results, depending on the surgeon performing. 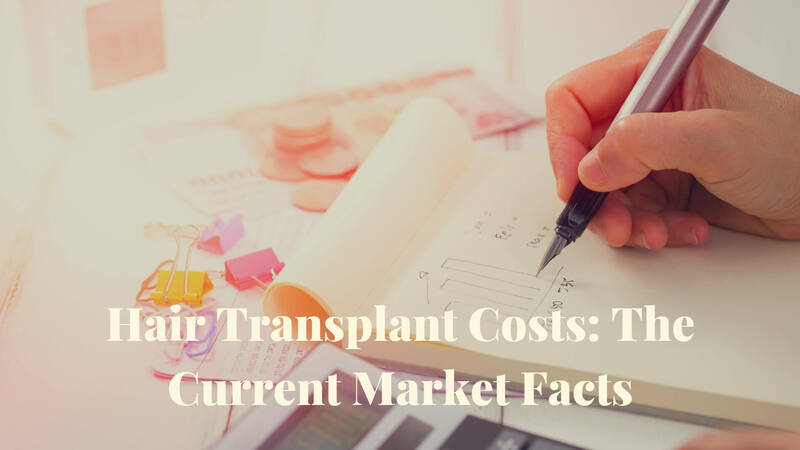 If you are surfing in and out forums, and if you have a Norwood 6 or further hair loss then you already know how many people are against a hair transplant procedure for your case. The vital concern is, since this is a challenging surgery, the chance of having a natural look is low. 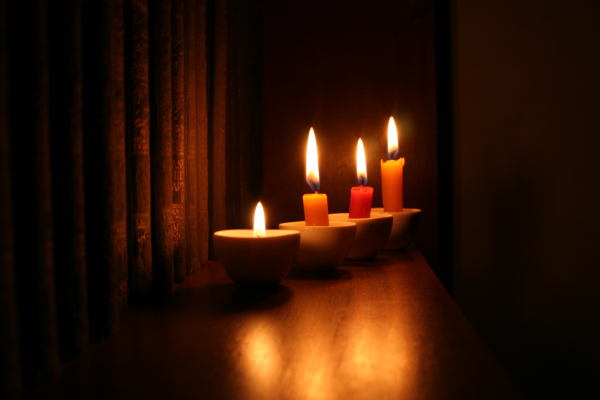 Therefore many people claim it is a loss of money and your time. Furthermore, there are a lot of people posting their negative experiences. 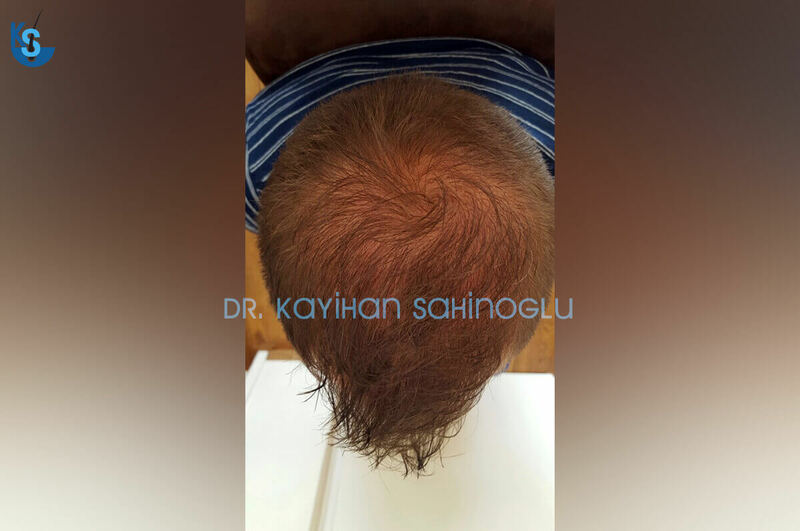 Even when the hair type and scalp characteristics are not suitable, surgeons still have conducted surgeries. Naturally, the outcomes were disastrous. 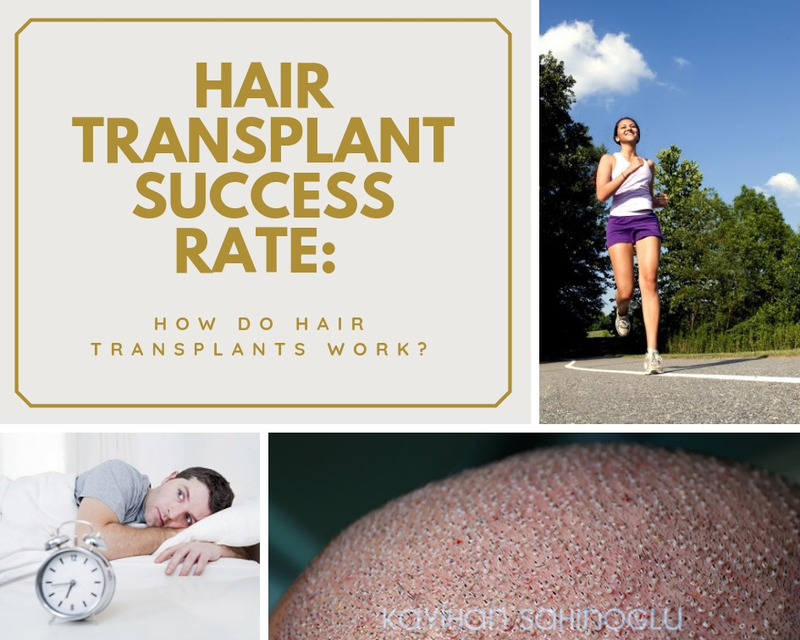 Notably, in cases where the donor’s hair is too thin, carrying on with operation causes density issues in the new area. Eventually, all your efforts turn into something looking not the way you want. 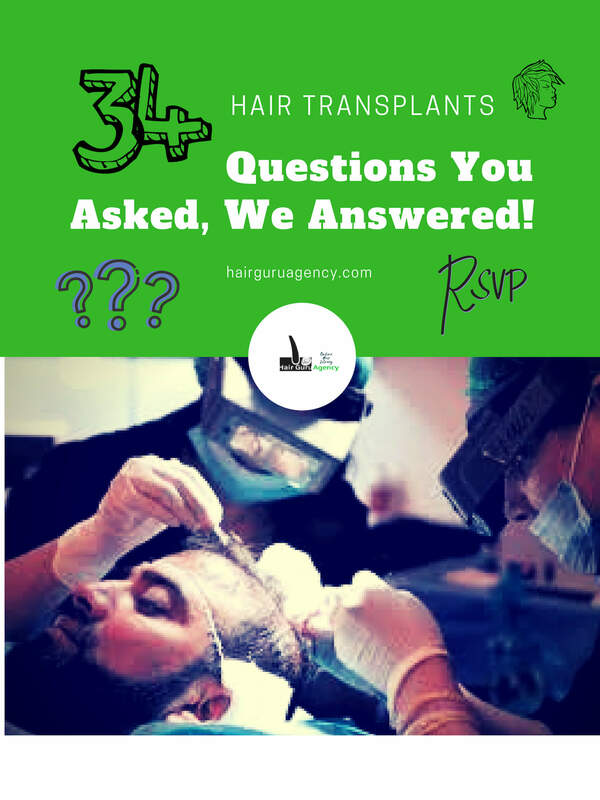 Why Is Norwood 6 Hair Transplants Challenging? The truth is, Norwood 6 hair transplants are not too different than earlier or later stages of hair loss. The idea is moving donor hair follicles as much as possible to the recipient area and creating a dense look. 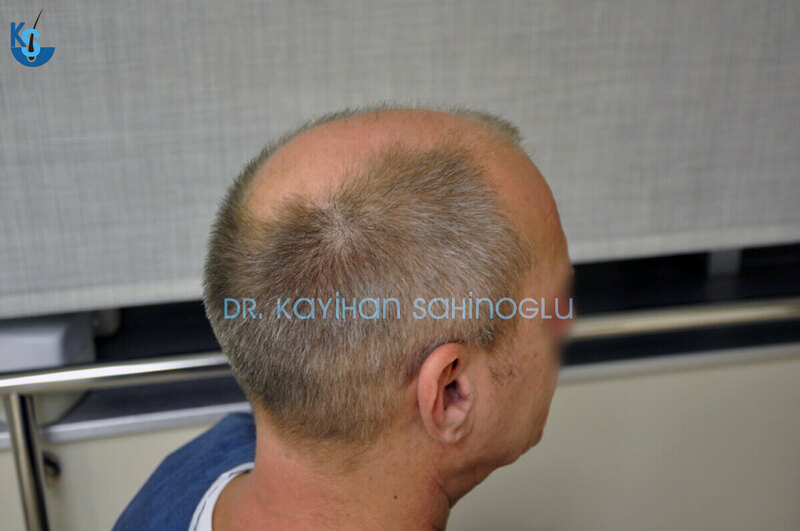 The only difference than an earlier stage case is, with Norwood 1-5, one of the goals of surgery is building a natural looking hairline. After Norwood 5, while this is still critical, achieving a dense look on the recipient area is very important as well. Some people think the natural looking hairline is more important. Others believe the priority should be a dense look and cover as much area as possible. From our point of view, they are both equally essential. 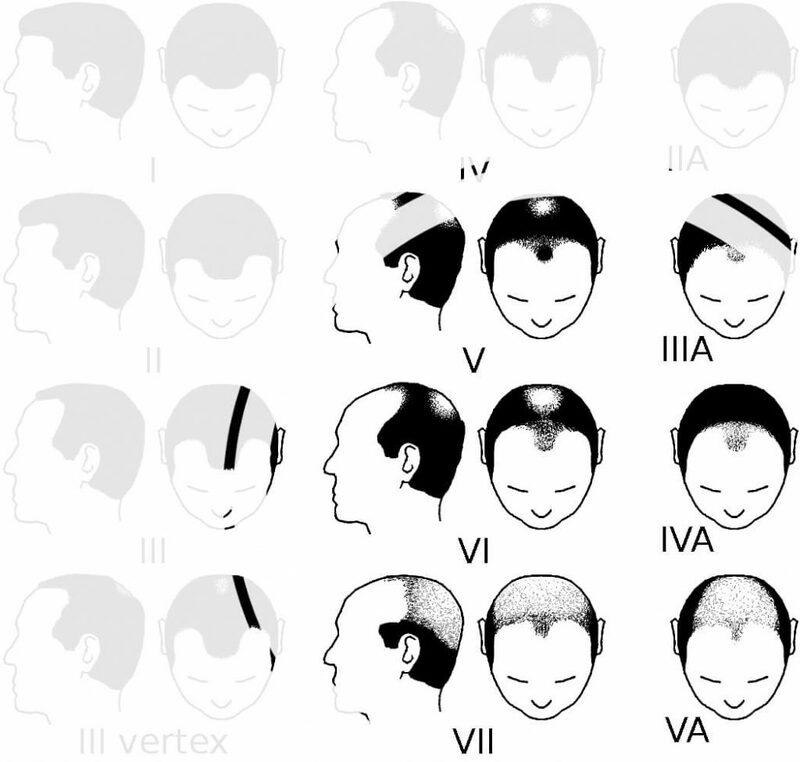 And more importantly, you can have both a natural looking hairline while covering most of the bald areas. 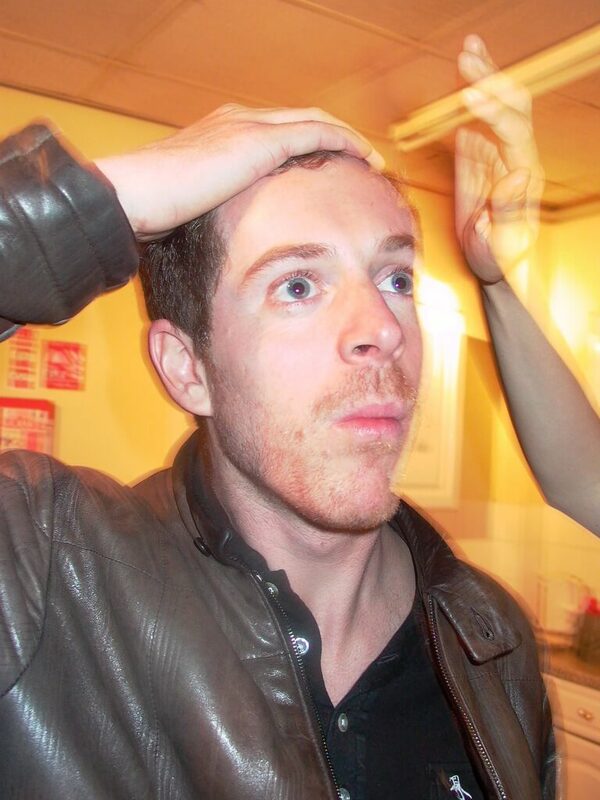 The saying “Norwood 6 and further is beyond hair transplants capacity” is a myth. 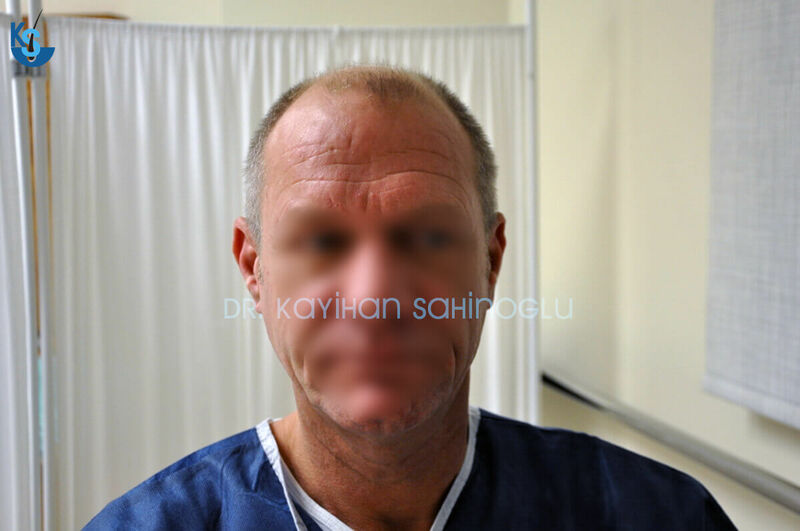 Experienced surgeons can very well achieve excellent results with Norwood 6 type hair loss. Especially, if your donor hair follicles are thick, we believe your chances of having a successful hair transplant procedure is high. 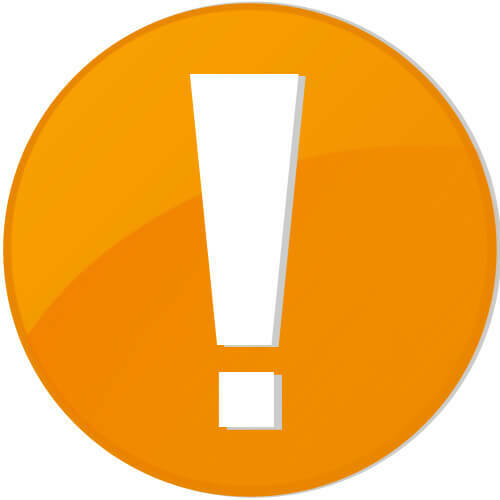 Therefore, it is essential to remember while the internet is a potent source of information, it can be very misleading. Then Why People Insist I Should Avoid Procedure? There are a variety of reasons why you see this posts and ideas. The first reason is; unfortunately, patients rush their decision because the deal is too good or because they are sick of their situation. More importantly, they don’t do enough research. Maybe it is because they want it or, perhaps the circumstances push them to, they make a mistake. In the end, they end up with results not looking good. The second reason is “Dark Marketing.” Some marketers figured out recently that when your product or service is not good enough, you manipulate the information to your benefit. If you can’t reach your competitors, you try to make it seem like other products are ineffective. 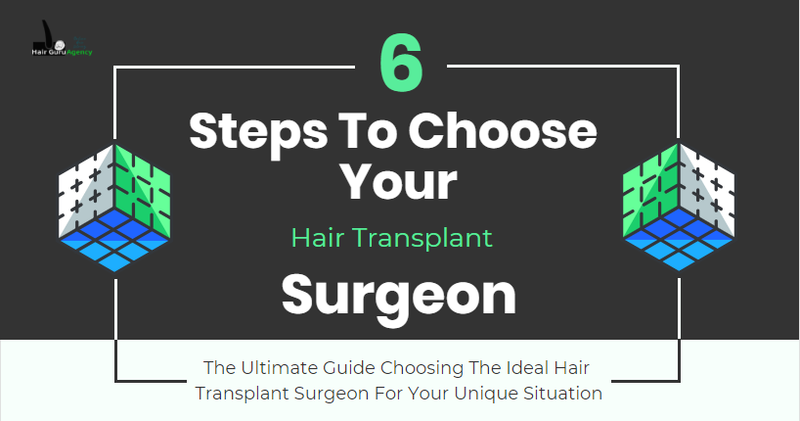 There are already some surgeons conducting surgeries although patient’s hair characteristics are not suitable. So, this gives them a proof they need. In the end, consumers start to believe these deceptions. 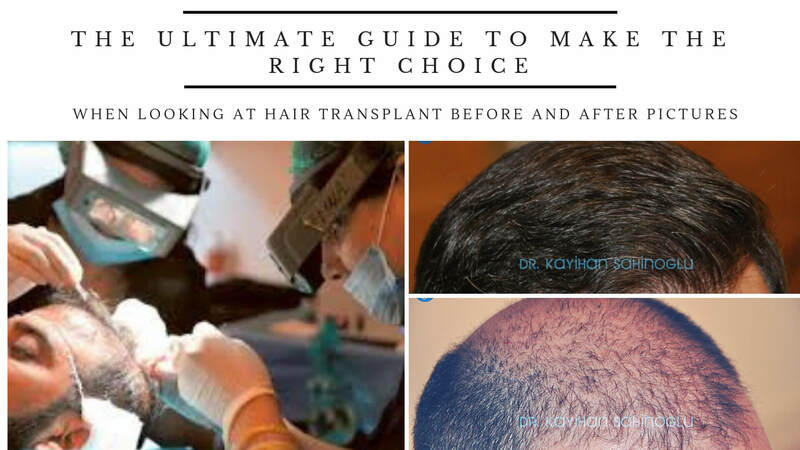 Whatever the reason is, people claim you should avoid a hair transplant procedure for Norwood 6 cases are usually the ones who suffered from these mistakes or tricks. Because they got hurt, with good intentions, they want to warn you, so you don’t end up the same. Eventually, they help those dark marketers unwillingly and create a false cycle. 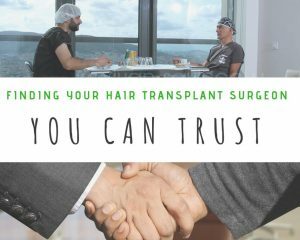 As we mentioned before in our article “Finding Your Surgeon You Can Trust,” the success of hair transplants depend mostly on the surgeon. It is critical to stay calm from the first moment you begin your journey. Information is valuable as long as it helps you achieve your goal. This requires consumers in any market to be very careful with the data. You don’t know how low people can get. To protect yourself, you have to be alert while searching online. If you panic or rush, you become an easy target. Then your chances of ending up making a mistake increase. While staying calm, reminding yourself it is more important to do this for once and for good than rush it and spend more time and money with the second time. Choosing your clinic is the most critical decision you have to make in your journey. Therefore, the decision-making process is very significant. The more you use your logic and ask the right questions, the better chances for you to see if a candidate is right for you. Our research led us to successful results of many different clinics. 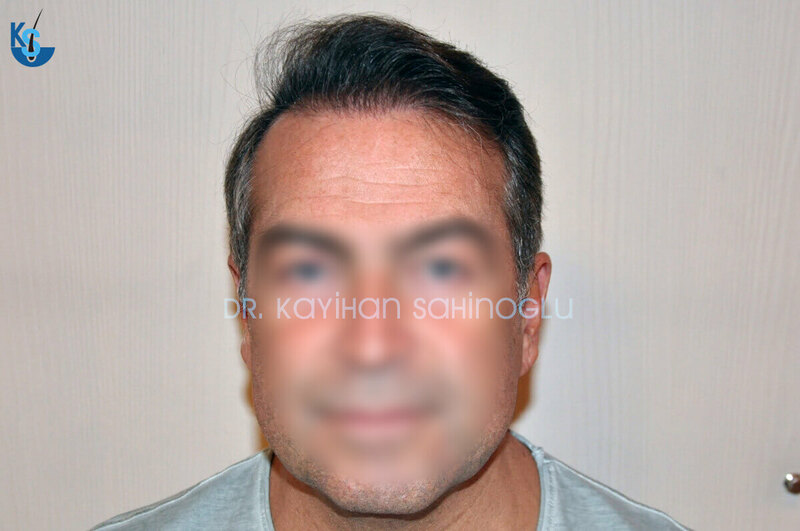 But since we follow ISHRS mission “A Society Where Surgeons Perform Surgery Not Technicians,” we decided to share the results of our recommended doctor, Kayihan Sahinoglu. 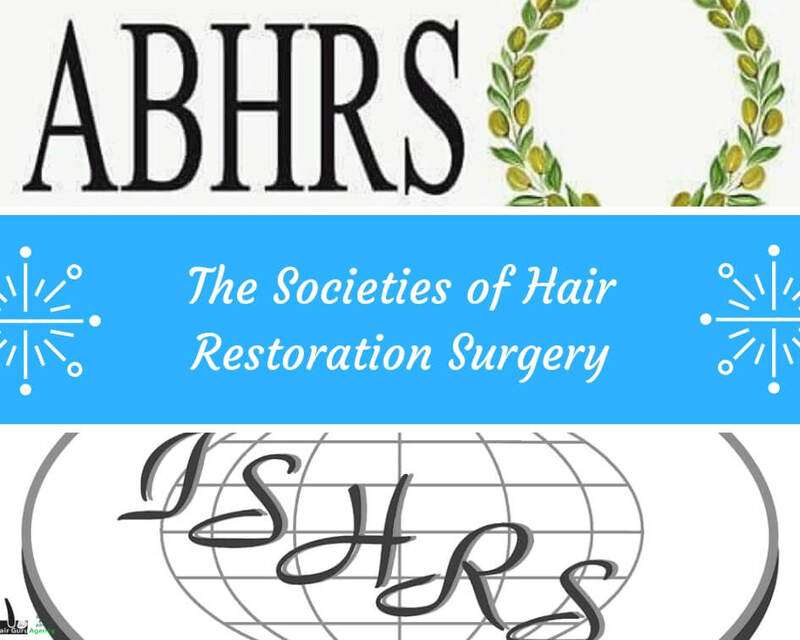 But there are other ISHRS fellow members from other countries who conduct surgeries personally and achieve excellent looks on their patients. This case is a classical Norwood 6-7. Also, considering the age of our patient, you can see how successful the operation was. 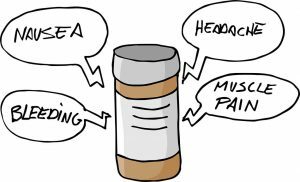 Additionally, the patient had a lot of grey and white hair. This was a positive contribution to the outcome because, the more hair follicle from each color you have, the more options the surgeon has. As opposed to the myth, the look is very dense. This procedure required two sessions in two days. Around 5000 grafts were transplanted, on average 2500 a day. We always emphasize the importance of extraction and staying in the graft per day limits. 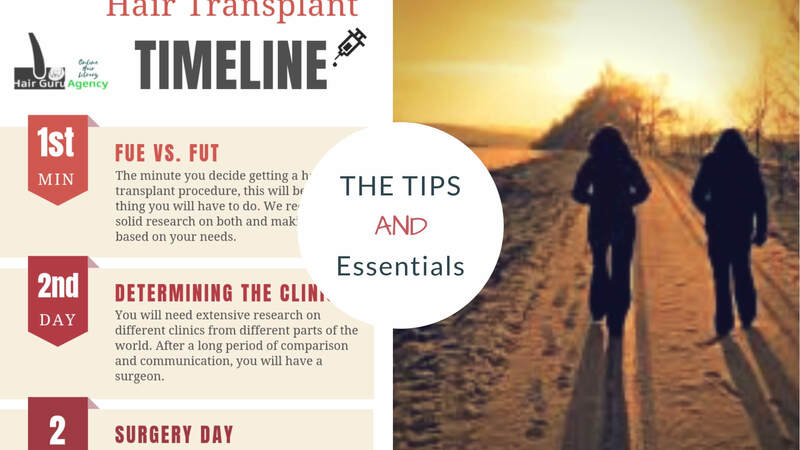 Increase the total number of grafts by 2000, and the results change dramatically. 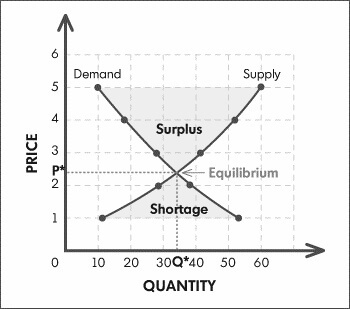 So, the first rule should be to stay within limits and concentrate on quality, not quantity. This angle is critical to see how much area was covered while not harming the donor area. It looks very natural from different angles. Moreover, the donor area seems as if there was no surgery at all. 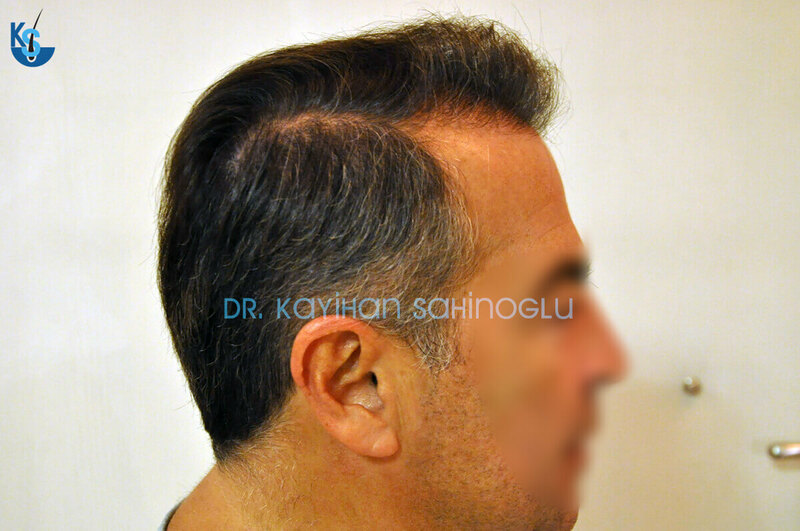 Usually, people claim FUT type hair transplants can achieve this but this an FUE procedure. It proves how vital the surgeon is no matter which technique preferred. 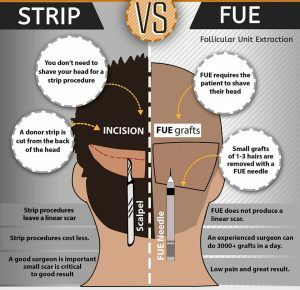 If your surgeon has enough experience and skill, he can do a better job with less number of grafts. This angle shows the hairline from a side. 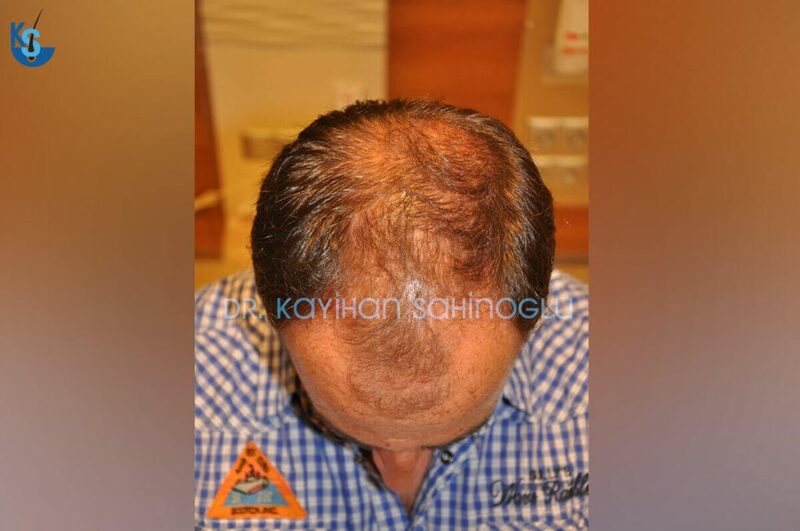 People think straightforward; for covering the bald area AND a natural looking hairline, you need the maximum number of grafts. That is wrong. At least for an experienced and skilled surgeon. For achieving both goals, you need to be smart with your hair supply. This is where the real skill lies. The dedication for each successfully extracted and planted hair gradually create a natural look in the end. That is why we continuously advise you to keep looking at other options. In today’s world, there is no impossible. There are the only possibilities to reach it, and that is through extensive research and perseverance. In this case, the patient asked precisely for this, and our doctor fulfilled the expectations. What if our patient had asked for a hairline which comes even further? This patient was on the verge of Norwood 6. 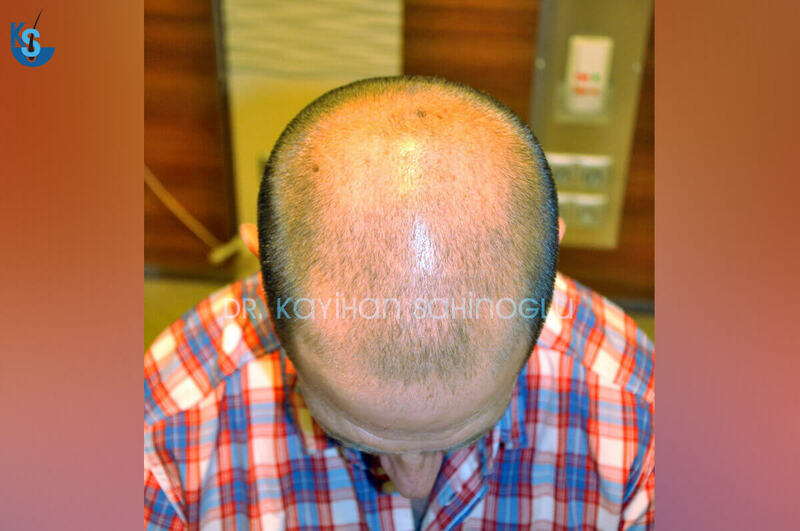 He wanted to have his bald area covered while restoring his hairline. 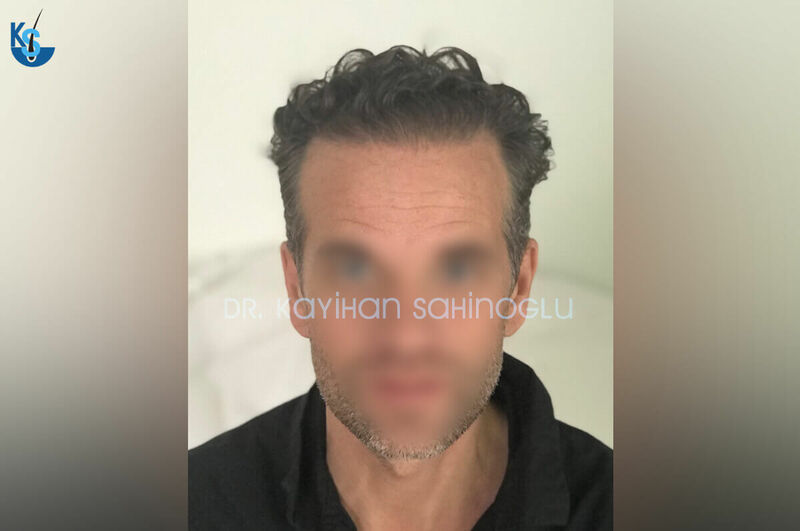 The difficulty in this kind of surgeries is the width of the forehead. For each individual, head shape varies. 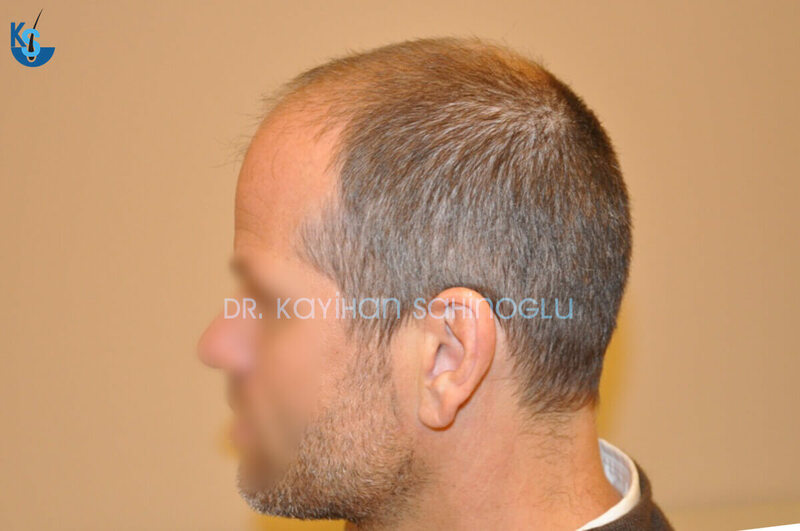 Therefore, the success of hair transplants depends on the head shape as well. This is not true. 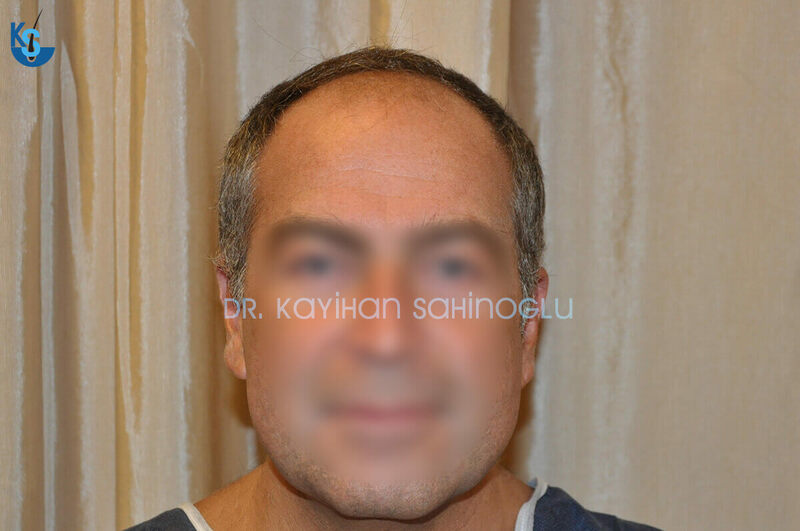 A great surgeon can accomplish this surgery with inspiring results as we see in this case. This case proves our point. 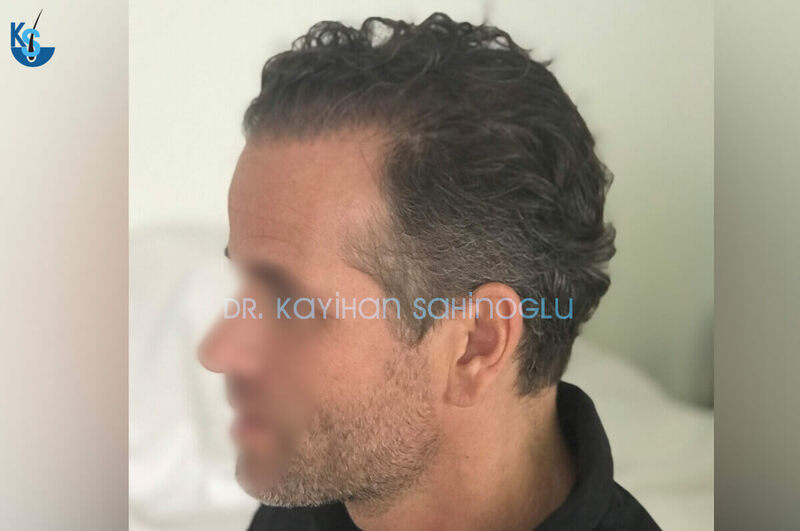 Even when the forehead is wider than the standard, with smart use of grafts, you can create a very natural look while achieving the desired level of density. 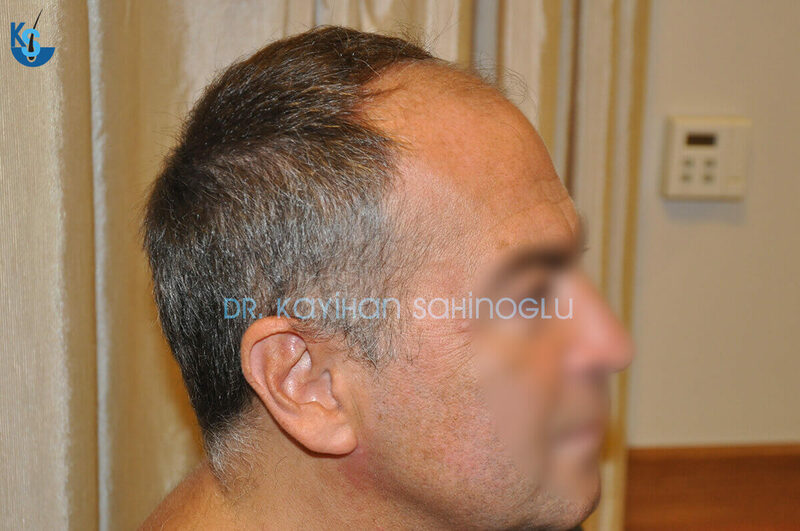 This area shows us better how precise the hairline is after the surgery. In this case, the whole area of transplants is very dense. Moreover, from front and side, the hairline is perfect. 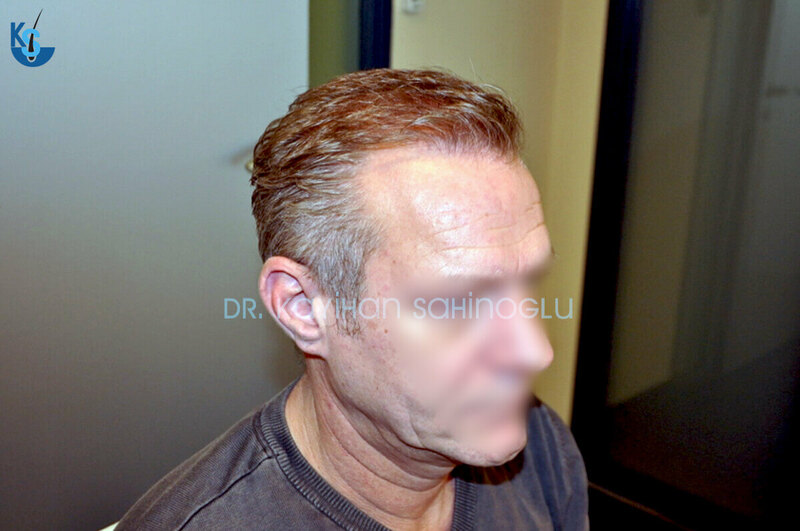 The perfect delivery of hair transplant skills brings the old look back. You can find our recommended surgeon’s different patients here. His work is proof of the potential difference a talented and experienced surgeon can make. 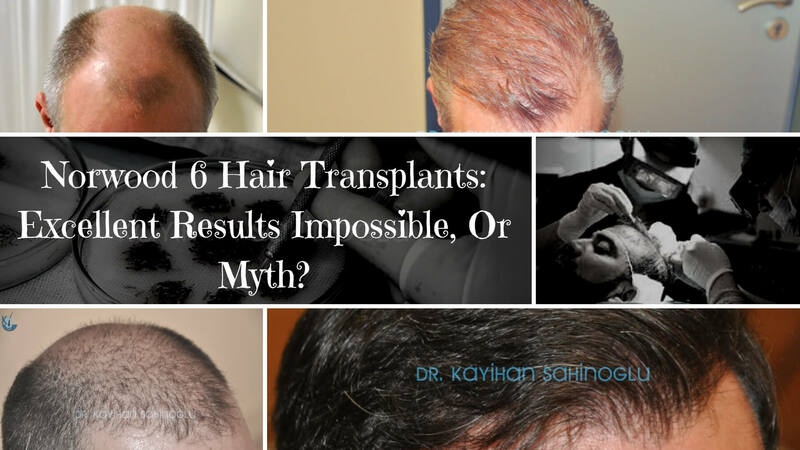 Now, considering claims of probable failure of Norwood 6 hair transplants, it seems more like it is just a myth. More importantly, this is a work of one surgeon. 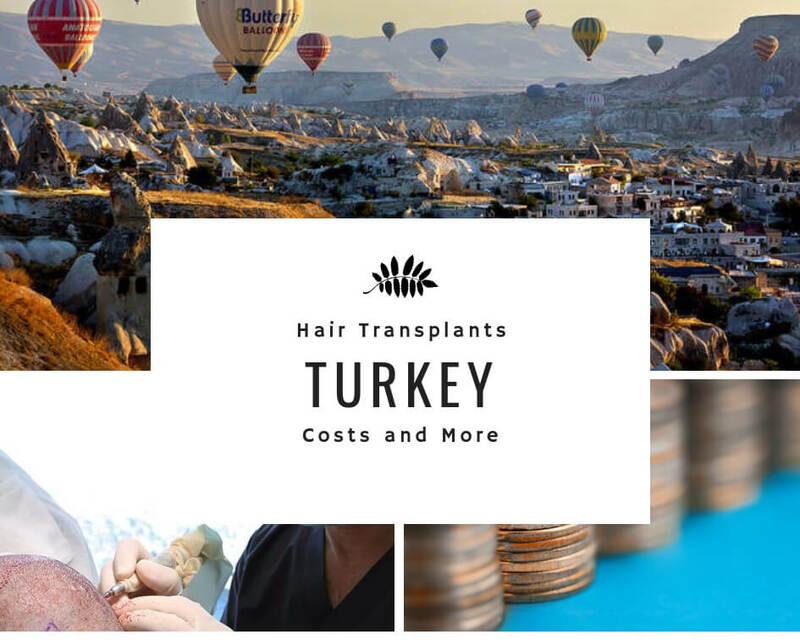 There are surgeons like Sahinoglu in the hair society who don’t rely on marketing but their work. The trick is finding these surgeons. This is the reason why ISHRS do not want technicians to perform. 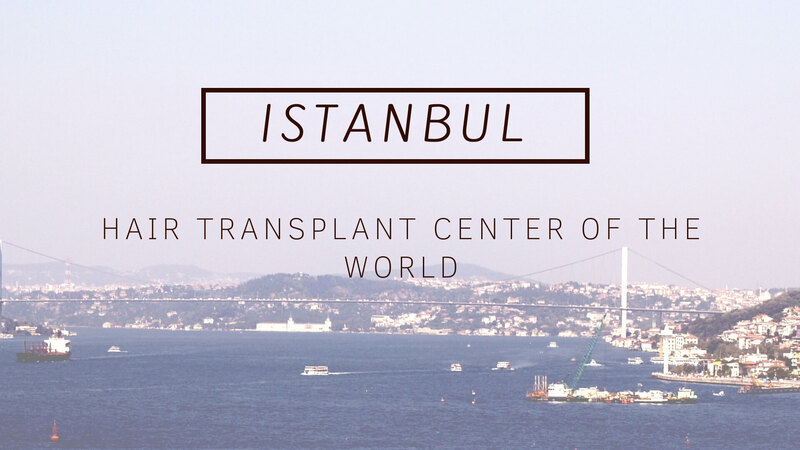 Their mission is for every surgeon to reach the level of doctors like Sahinoglu. And this dream seems not very likely to happen if the technicians keep working in the industry. 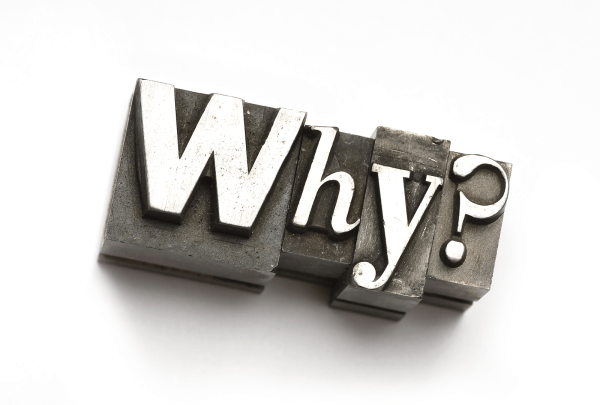 That is why we recommend finding a surgeon who performs the procedure personally. 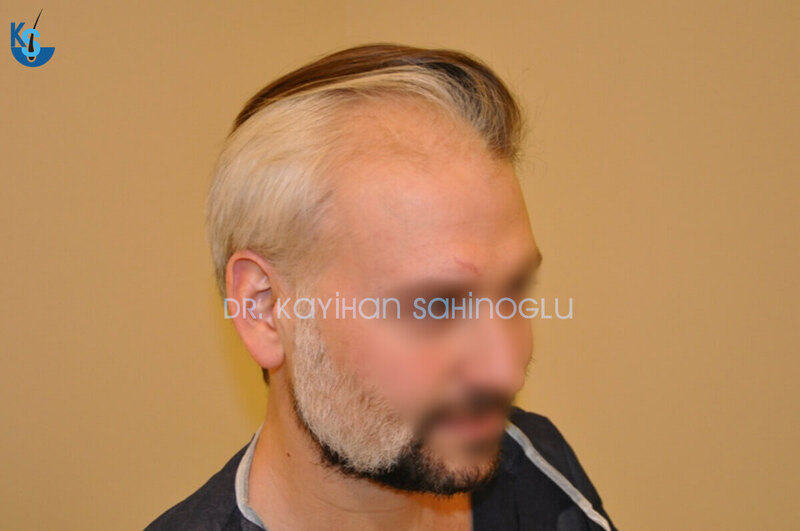 White/Grey Hair Is Not Suitable For Hair Transplants: Another Myth! 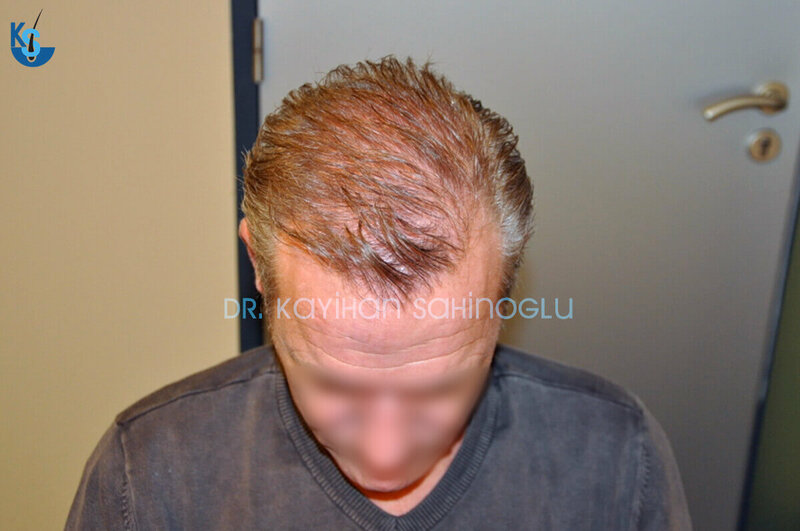 There are no restrictions of hair color in hair transplants. It is a very straightforward equation, the more balanced the number of hair follicles of each color are, the better the results. If you have white or grey hair, or your hair color is changing at the moment, that is not a problem. Fascinating isn’t it? This is a very impressive result compared to the industry standards. It doesn’t matter what the color, or where the baldness is, as long as your hair is thick enough, there is a way to make it work. Once again, the main component is the skill of the surgeon. 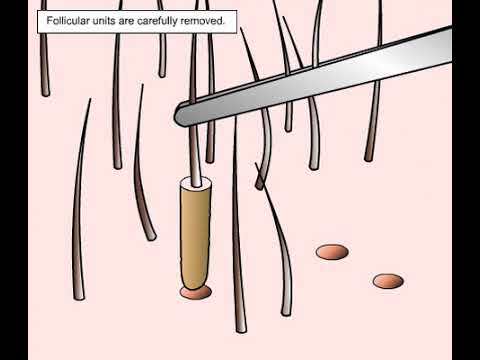 After this point, your options begin to shift toward different areas of the body for donor hair follicles. There might still be hope; if your hair is not thick enough, other areas can supply the hair needed. Although the chances seem lower, as long as there are hair follicles and perseverance, a solution might exist. So, we advise you to do extensive research and give up only after you definitely know there are no options. Our research led us to the same simple truth every single time. 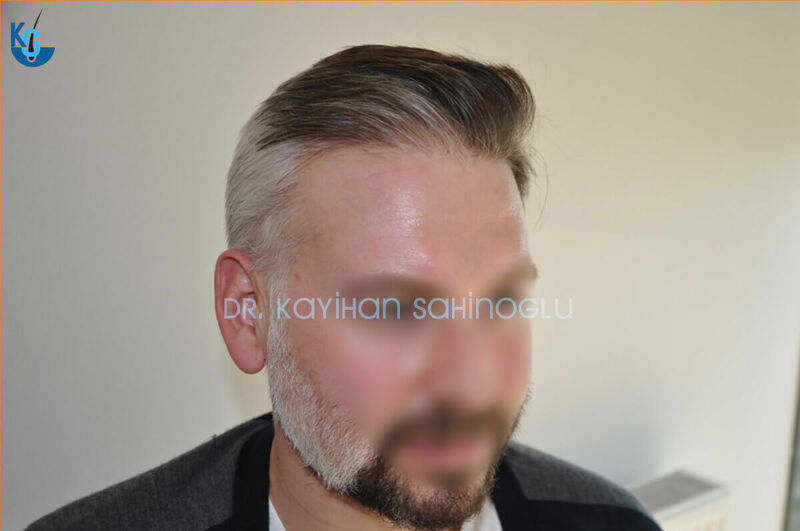 As long as your hair type and scalp characteristic are suitable for hair transplants, you are a candidate to have your old looks back. 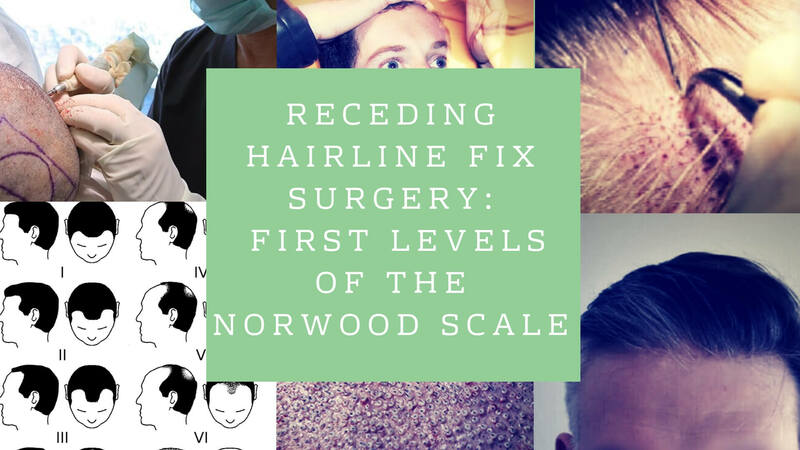 The Norwood Scale determines the number of hair follicles you need. 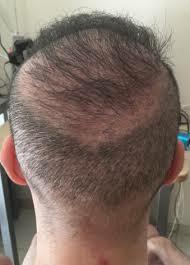 It is just a scale of hair loss shape and percentage. For a standard doctor, it might indicate the chance of success, but for the best of the profession, it is just a tool to make a strategy. As long as your hair is thick and sufficient in numbers, they will find a way to make it look excellent. Therefore, just like you make a profit while you buy something, you get the perfect results when you choose your surgeon. Unfortunately, it doesn’t work if you don’t do your part well. This surgery will determine how you look the rest of your life. Deciding without being very sure can lead to more problems in the future. For this reason, it might be a good idea to stay calm and try to see if you are sure about your surgeon. Even if you slightly feel uncomfortable, continue your research. In the end, it will be worth it.